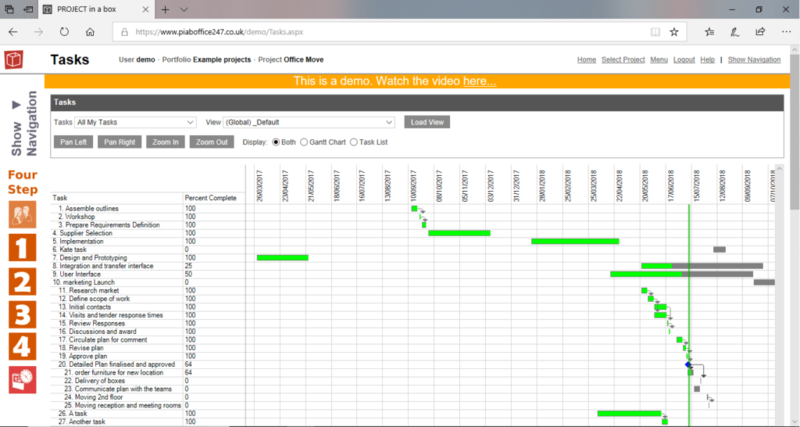 Many of you will already be familiar with our free Project tools Planner and Community Edition. 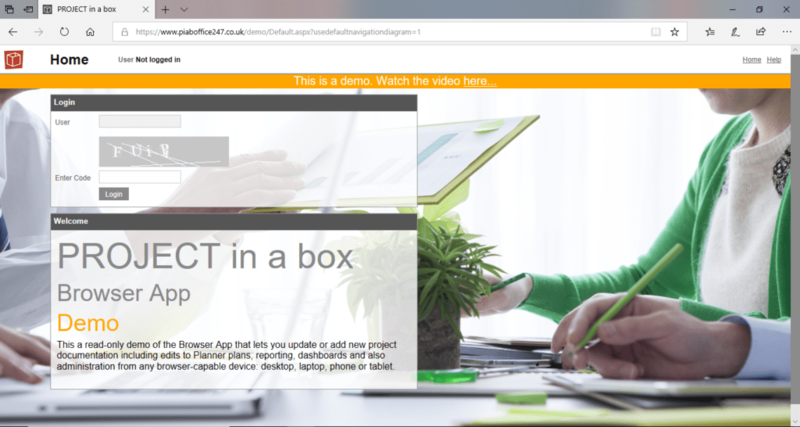 Most customers have used they while finding out about PROJECT in a box. You can run them on a Windows computer and they are both free forever. So as free PM software they are a really good first step. However, what if you are thinking about the multi-user options? That is why we have set up this demo environment of the Live/Small Team/Enterprise Edition platform. You can access this demonstration system from here and use it a often as you wish. You don’t need to register or to provide credit card details. This also is not a timed trial so you can access it as often as you want. Simply enter the Capture code and login. We have helpfully populated the system with example projects so you can see how your system could be. To enable you to browse quickly and easily we have removed some capabilities from your demo user. You will be effectively operating as a view only user although able to try but not alter the admin functions. So you can see how easily they edit we have checked some files out for you. You can also access the reporting and analysis areas as if you were an admin user. We recommend starting with the Office Move project in the free PM software. You will be logged out after a period of inactivity, but can come back in and continue to look around whenever you want. We have helpfully prepared a tutorial video on YouTube which you can access here to watch before you try. You can also get this video from the header bar in the demo at anytime. The video walks you through the demo and explains differences from the real live system. If you love it as much as we think you will then we would be delighted to set you up with your own full evaluation site so you can add your own projects. Of course we are happy to talk through any of your requirements or challenges justcontact us to get started.